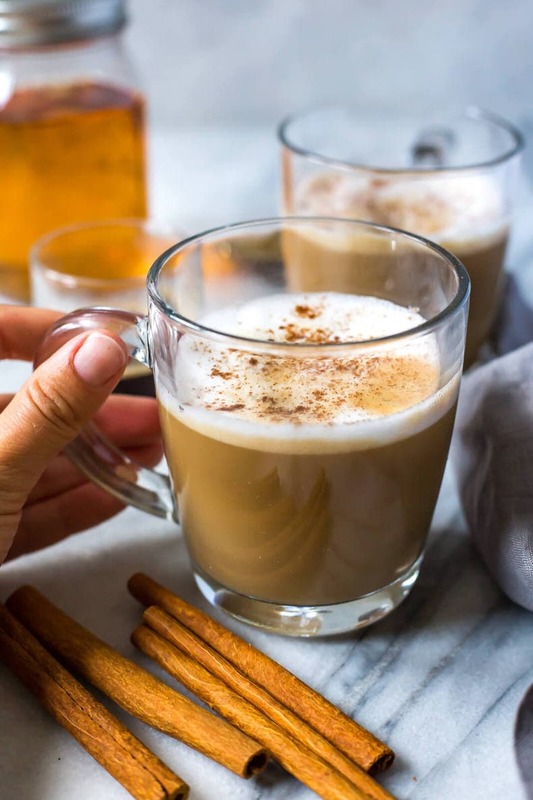 This Homemade Cinnamon Dolce Latte is just like your fave espresso-based drink from Starbucks - this coffee recipe is also so perfect for fall and back to school season! When ready for your latte, add ground espresso to the Philips 3100. Add milk in the milk carafe and attach to the 3100. Add 3-4 spoonfuls of cinnamon dolce syrup to a mug then place underneath the milk carafe and espresso spout. Press the strength button, then the cappuccino button. Milk will come out first, followed by espresso. Sprinkle a little bit of powdered cinnamon overtop (optional) then serve and enjoy!